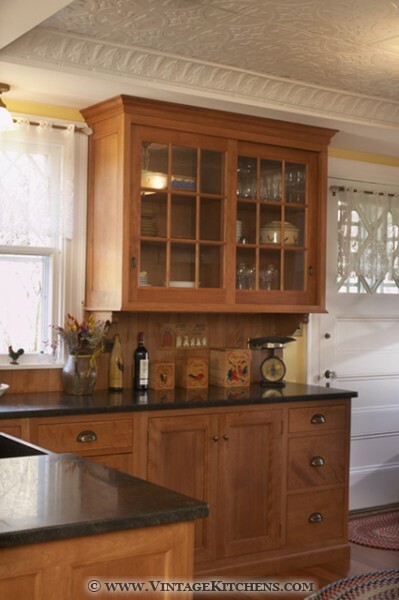 Several of the details for this Vintage Custom Cabinetry kitchen were inspired by details that appear in the original 1906 blueprints. 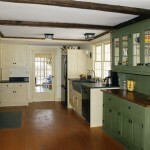 This old house still has many original features, including low ceilings & sloping floors. 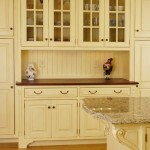 It features classic antique details, right down to the hand-planed wood and genuine milk-paint finish. 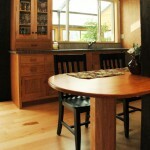 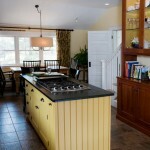 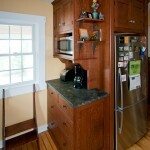 The island is finished in a soft yellow paint, in contrast to the stained cherry cabinets that wrap most of the kitchen. 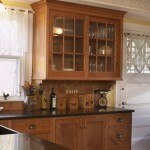 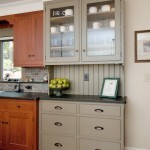 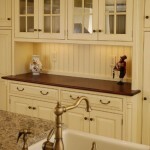 This Quality Custom Cabinetry painted kitchen features a new Elmira retro style range. 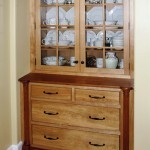 A nice built-in hutch offers a focal point for some of the owner's antique porcelain collection. 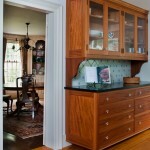 A Welsh cupboard serves to showcase a collection of antique copper molds, while it does double duty as a beverage center, complete with wine cooler. 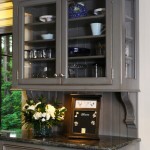 This piece was also built in our own custom shop, with the artistic paint treatment done on site by local artist Judy Dibble.